Before we proceed to the description of OpenLMI itself, it seems worthwhile to give an historical excursus. In due course, SNMP was developed for management over network. It was good in every aspect but one: the standard itself defined basic primitives only, while all the rest was farmed out to vendor/developer, and there were no standards except these primitives. Yes, certain standard OID’s do exist now, but there are very few of them in the standard itself, with the rest being set by leading vendors. In 1996, DMTF organization consisting of the leading hardware and software manufactures submitted a set of WBEM (Web-Based Enterprise Management) standards, though at that time and in that context ‘Web-Based’ did not mean ‘Web-UI’ but just using protocols and standards including HTTP, SSL, XML. As opposed to SNMP, these standards have defined not only data exchange protocol but also a set of objects available for manipulations — CIM (Common Information Model) and the corresponding query languages CQL/WQL, created under the influence of SQL, as the name implies. But unlike SQL, this subset does not support modification or deletion of any parameters. Time was passing. This set of standards was started to be realized in proprietor systems (Windows NT, Sun Solaris). However, for an open source this turned out troublesome because of its diversity and lack of any standards whatsoever. Yes, a basic part (CIM server) has existed for rather a long time already, and even in various implementations, but the rest of the infrastructure has been unavailable. Recently, however, the situation began to change: several leading players in the corporate Linux market launched their WBEM infrastructure versions based on various CIM server implementations. We will discuss one of the versions named OpenLMI, which is being developed under the auspices of Red Hat. But it’s not enough to install a set of tools — you must have an idea of the architecture, and we are going to describe it below. 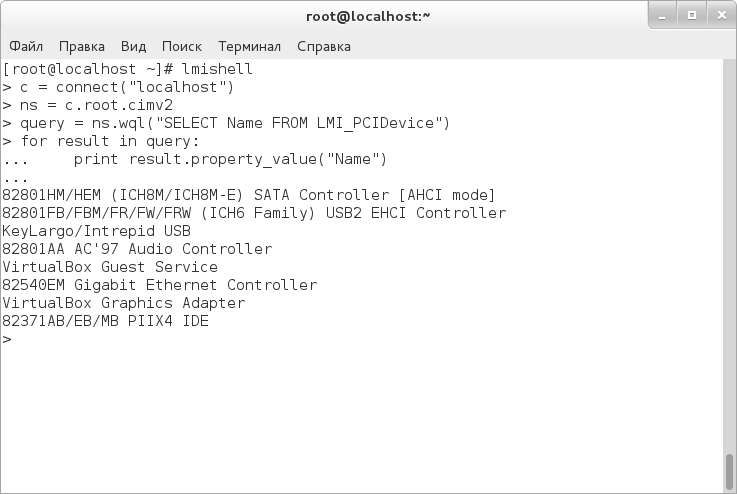 openlmi-hardware — submitting information on hardware. One part of providers is written in Python, the other (larger) part — in C. Besides CIMOM and various providers-backends, there are two CLI versions in OpenLMI. At first, we will consider the one which is a component of CentOS 7 basic package. You can start CLI for managing both a local and a remote system. It is also worth mentioning that standard CLI is actually a Python interpreter with WBEM support. We can do without this for local management (by default, it is available for superuser only), whereas for remote management we must set a password for pegasus user on a managed machine. WBEM standard also supports event notification which is called ‘trap’ in SNMP. However, it is not supported by all providers. I’d like to note that in OpenLMI it is not possible to restrict access to individual namespaces — a user can either have access to all CIM providers installed on the managed machine or have no access at all. This is more than strange — a similar Oracle solution used in Solaris offers the option. Furthermore, an unprivileged user who has access to all namespaces, one may say, automatically gains superuser rights (an example will be given later). For the established connection, the result will be ‘True’. We are creating a cycle viewing all instances provided by LMI_Account provider, which is responsible for users, and then we output ‘name’ field for each instance. Here, the entering operations are somewhat longer than in the previous case. This can be explained by the fact that a query returns, instead of rows themselves, a list of instances from which we then retrieve in a cycle all the required properties. It must be noted that the type of quotation mark is of no importance for this query, but if comparison operators are used, it is necessary to enclose a query in single quotation marks, whereas a row to compare with — in double quotation marks (see example below). Let us examine what these commands do. The first command imports Python crypt module for password hashing. The second command creates an object of PG_ComputerSystem class, which indicates a local system. The third command creates an accmgr object, which is responsible for account management. 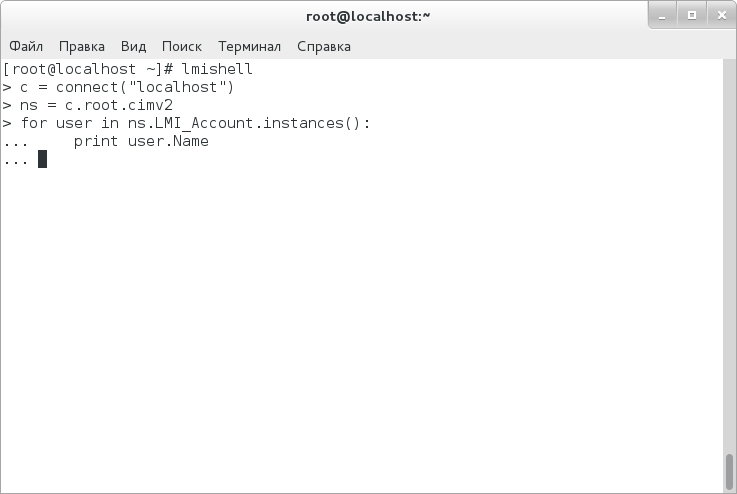 Well, it is the fourth command which just creates a user with the preset properties (including hashed password) on a specified computer. 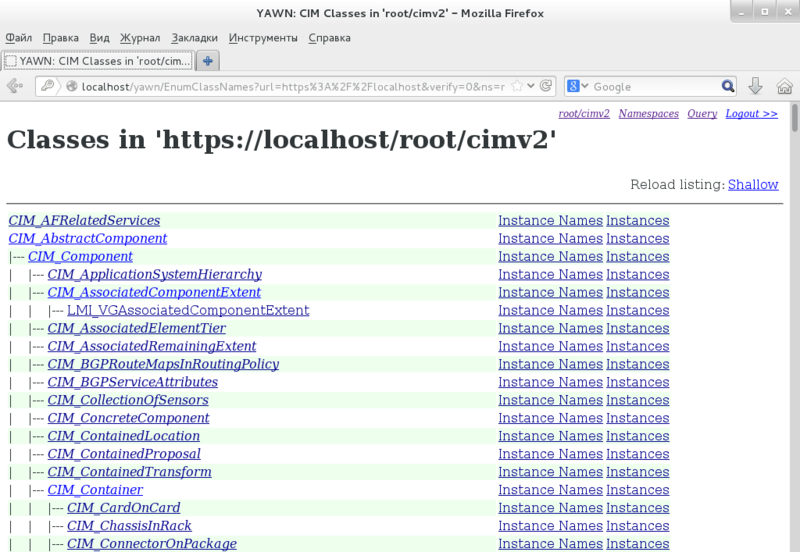 After that, you can enter http://localhost/yawn in the browser and browse a tree of classes. On the whole, the basic principles of work are approximately clear, and we can proceed to more complicated examples. # Writing CIM providers for OpenLMI Here is a brief report of what is necessary for writing an OpenLMI provider: * Write NOF file containing a description of classes and methods. * Write a provider. In case of Python, the names of methods to be referred to by CIMOM, will be approximately as follows: enum_instances() — enumerates instances of CIM class, get_instance() — gets a certain instance or property, set_instance() — creates or changes an instance/property, delete_instance() — deletes an instance, and, at last, cim_method_method_name() — calls some method specific for a given class. 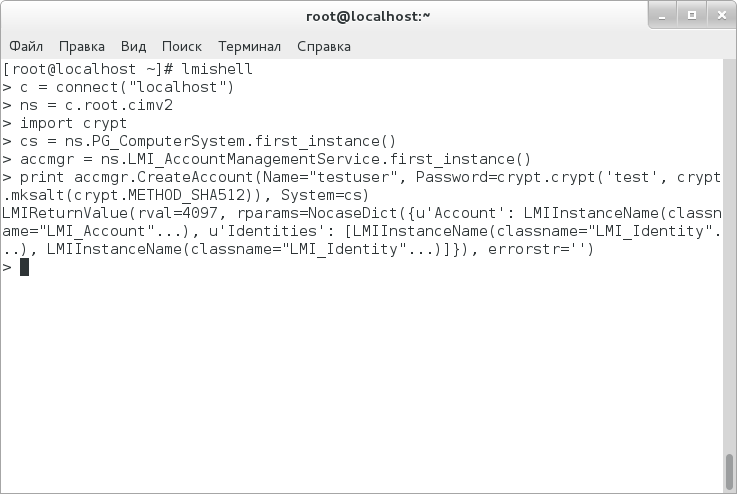 * Register MOF file and a registration file, which has been written, using command 'openlmi-mof-register provider.mof provider.reg' and copy a provider directory to /usr/lib/python2.7/site-packages/lmi. After that it can be used. * Write NOF file containing a description of classes and methods. * Write a provider. 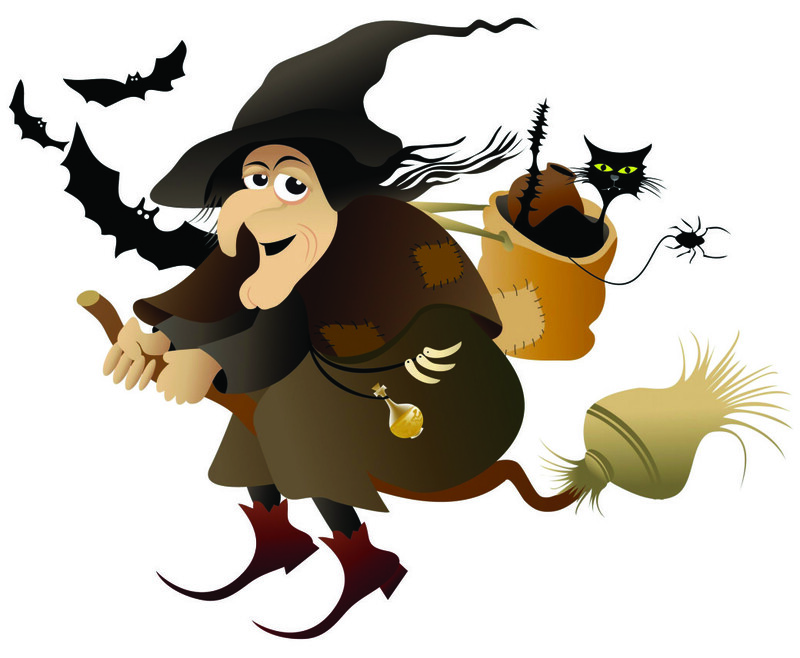 In case of Python, the names of methods to be referred to by CIMOM, will be approximately as follows: enum_instances() — enumerates instances of CIM class, get_instance() — gets a certain instance or property, set_instance() — creates or changes an instance/property, delete_instance() — deletes an instance, and, at last, cim_method_method_name() — calls some method specific for a given class. 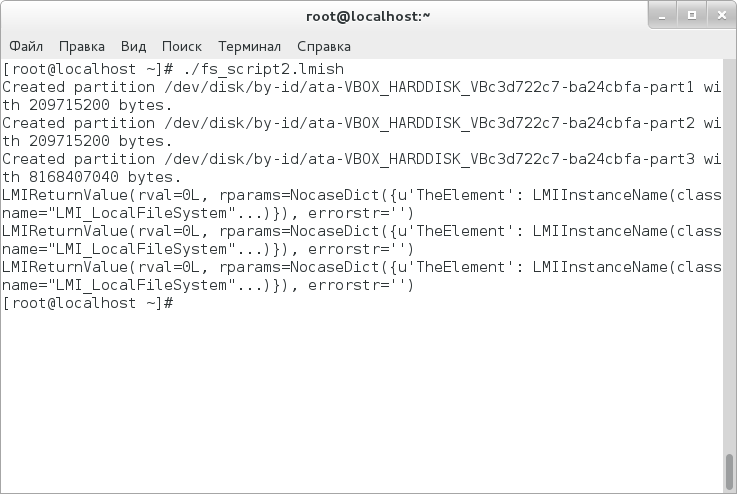 * Register MOF file and a registration file, which has been written, using command 'openlmi-mof-register provider.mof provider.reg' and copy a provider directory to /usr/lib/python2.7/site-packages/lmi. After that it can be used. "with", partition.NumberOfBlocks * partition.BlockSize, "bytes." It is worth pointing out that this shell supports namespaces as well, i.e., you can go, for example, to ‘storage’ namespace and enter commands with respect to this space now. For orientation in namespace, you can use commands ‘:cd’, ‘:pwd’, and ‘:..’, the last command being the alias for ‘:cd ..’. In terms of convenience for end user, this shell obviously seems to fit better than LMIshell as you don’t need to remember a lot of class, method, and property names. On the other hand, if you need to do something a bit less primitive, you’ll have to study the above-presented material, because ‘lmi’ command is inappropriate for this — it does not even have cycles. The impression generated by OpenLMI is ambiguous. On the one hand, the need in this functionality in Linux has existed for a long time — the syntax of configuration files and commands is so versatile that one fails to keep everything in one’s head if there are lots of servers. No argue, a tree of CIM classes is also rather complicated but it obeys certain rules, and eventually it allows you to abstract from particular configs and commands. On the other hand, it looks like a raw trick. A browser of classes is lacking in the delivery which does not promote their study. Convenient event processing is also lacking; so, you’ll have to write everything yourself — that means you must meet rather high requirements. At last, security. For pity’s sake! What can we discuss if any user who has connected to CIM server can perform absolutely the same actions as those ensured by OpenLMI agents — moreover, it does not make any difference whether this user has the required privileges on the managed system or not. It looks extremely strange that Red Hat did included this infrastructure in its commercial distribution disk. I would recommend to consider this infrastructure as a certain Technology Preview and a further progress vector for management tools. Industrial operation can be accompanied by vulnerabilities in security.